There's surprisingly little Gold in the world & this infographic shows all the Gold ever mined. 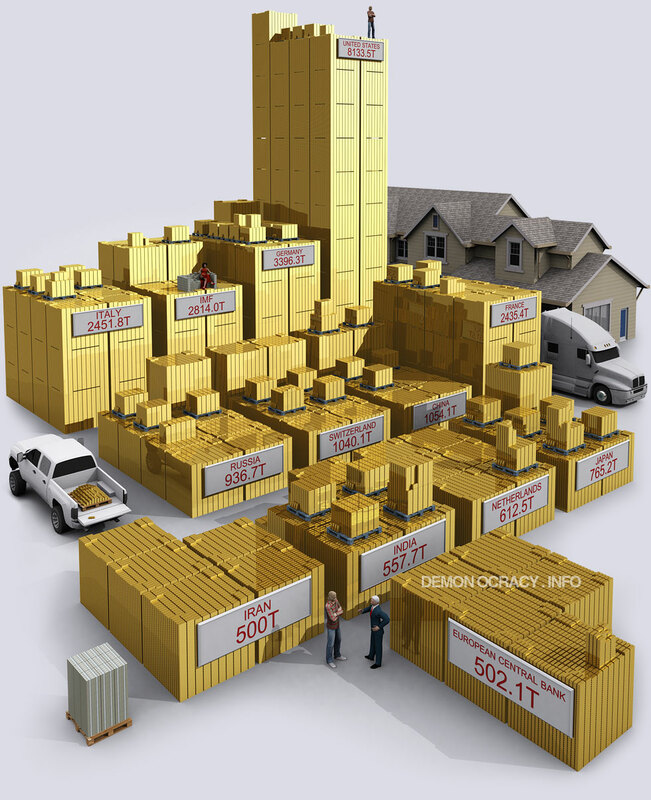 In this Gold infographic everything is calculated with Gold price at $2000/oz. and it won't matter if you have 1oz of $100 bills or 1oz of Gold. Gold is usually measured in Troy Ounces. A Troy Ounce is about 1.09 regular Ounces. This is a chart of standard Gold bullion size comparison. The cubes are measured by volume & Gold weight of 19.30 g/cm−3. The plates are typical Gold bar dimensions of same Gold weight. The Gold bar to the right is worth the $800,000 displayed on the left at $2000/oz. 3x 1-gallon milk jugs - quite heavy. As an investment, Gold has out performed Dow Jones for last 8 years straight. The 1 ton of Gold is worth $64.3 Million dollars at $2000/oz. 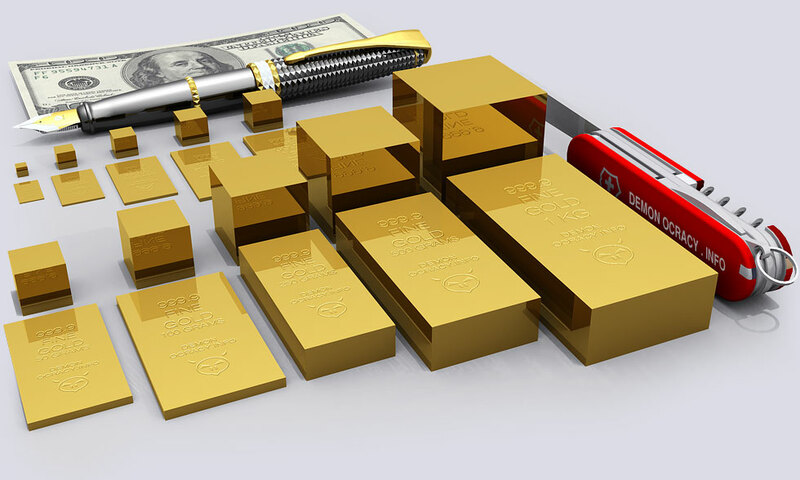 In recent times, Tungsten (heavy 'cheap' metal) filled fake Gold bars, which look like the ones above, have been found in Manhattan. Such tungsten fake bars can be even be ordered from tungsten-alloy.com & chinatungsten.com. The Bank of England's Gold Reserves can be seen in this video. 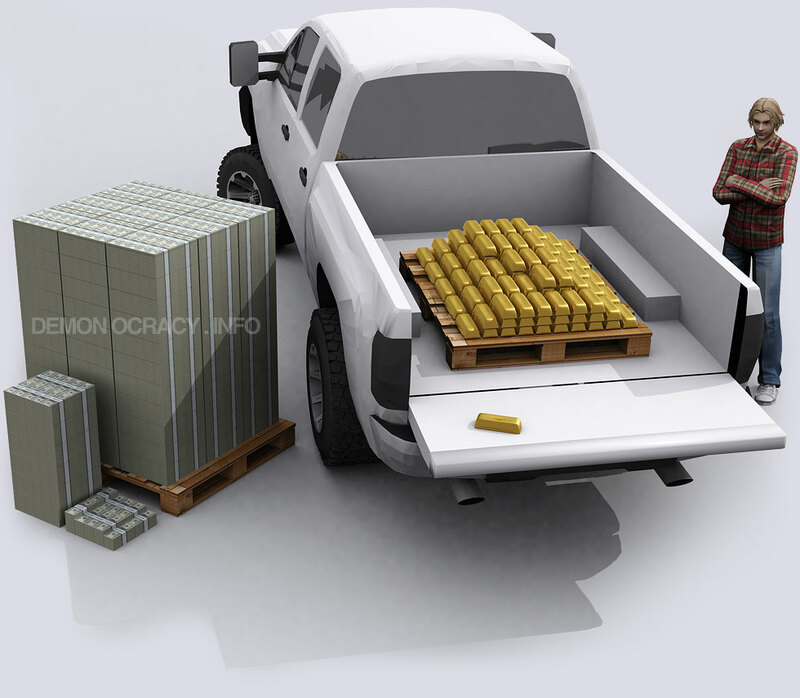 This is how much Gold the average man could haul in his truck without braking the suspension. Max carrying weight of the truck is 3670 lbs = 1664.68kg, which is the weight of the Gold you see in the truck bed - 133x 400oz bullion bars of Gold. The value of the 1.66 tonnes of Gold at $2000/oz is displayed to the left at $106.4 Million dollars. 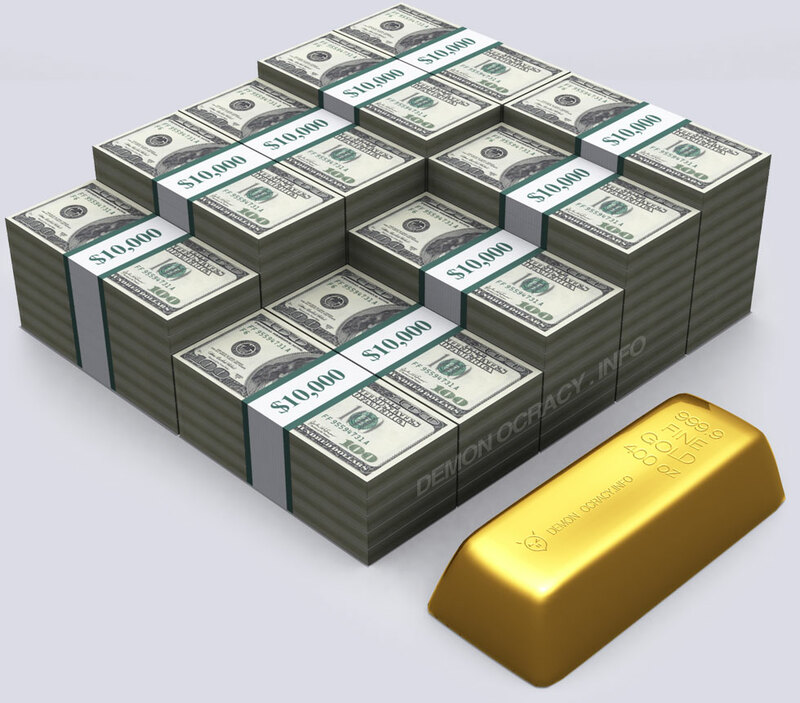 The Central Banks of western countries usually handle their nations' large Gold Reserves. 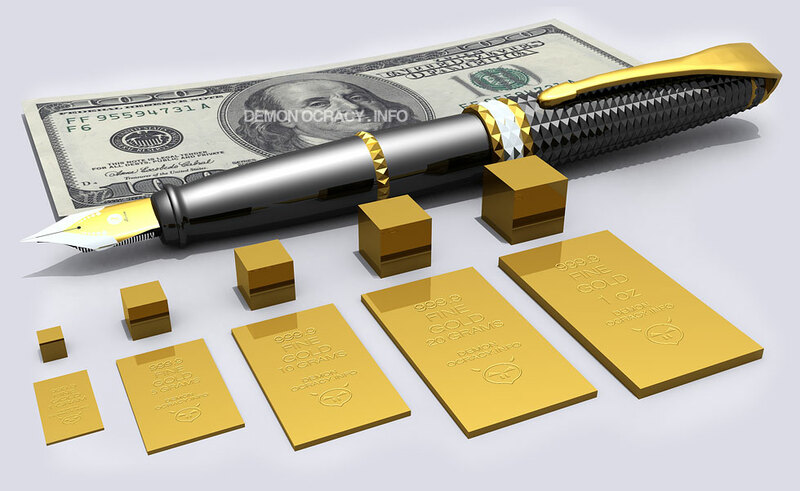 Couple generations ago the US dollar was backed by Gold, so the Fed had to hold Gold. Today, the dollar is backed by the confidence in United States' repayment of its debt (bonds). The US Central Bank's- The Federal Reserve's Chairman Ben Bernanke, says that Gold is only held as a tradition and that Gold is not money. The legal carry weight of a semi-truck is between 22-25 tonnes. 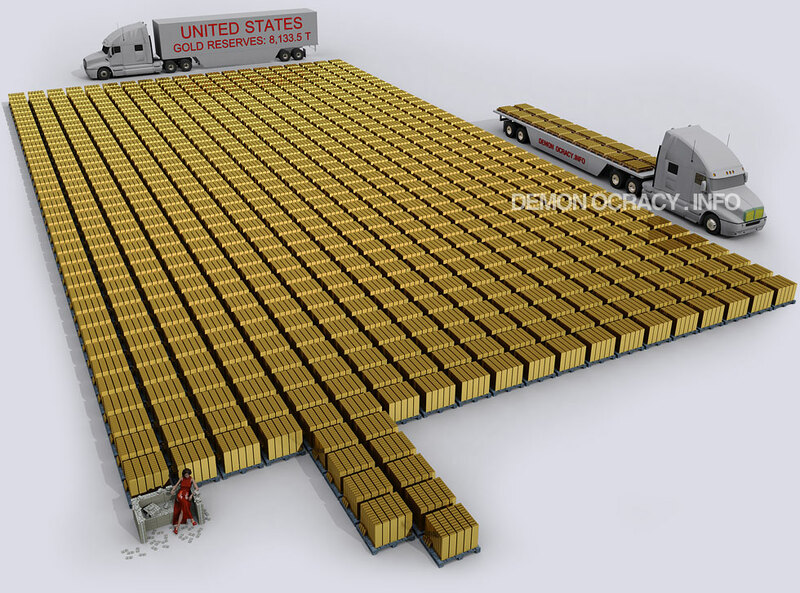 The truck is carrying 24.88 tonnes of Gold worth $1.6 Billion dollars @ $2000/oz (on the 2nd truck). Same value as $1.6 Billion @ $2000/oz. finally Gold is more valuable in weight than a B2 Bomber. The Northrop Grumman B2 Spirit Bomber program cost $44.75 Billion for a total of 21 units built, that averages to $2,130,952,380 per unit and the same value in Gold @ $2000/oz can be seen on the semi-trucks on the right. To the left you see a Semi truck with $2.13 Billion dollars. Doesn't matter how you choose economically between the semi truck of cash, the Gold trucks or the B2 Bomber, they're all worth the same. ($11 Billion) as of 1/11/2013 and are shown below. Gold from $20.67/oz to $35/oz, by so devaluing the US dollar by 70% overnight. 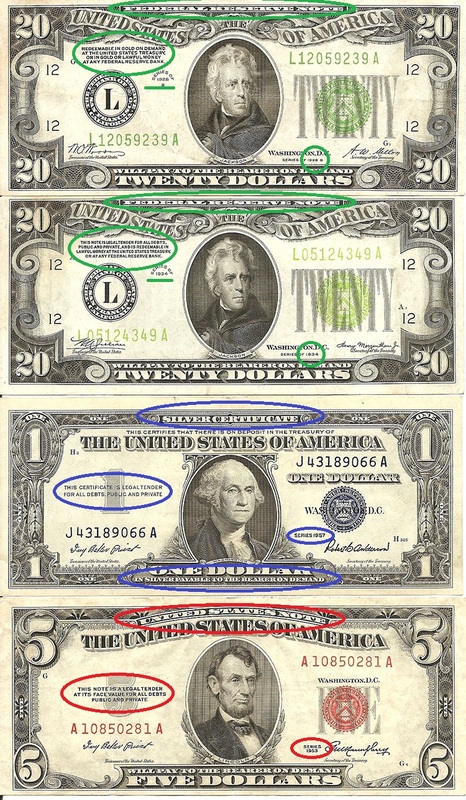 The US Dollar 'Federal Reserve Note' still said "Redeemable in Gold", while doing so got you arrested. USA was on the Gold Standard until 1971. Gold possession remained illegal until 1975. 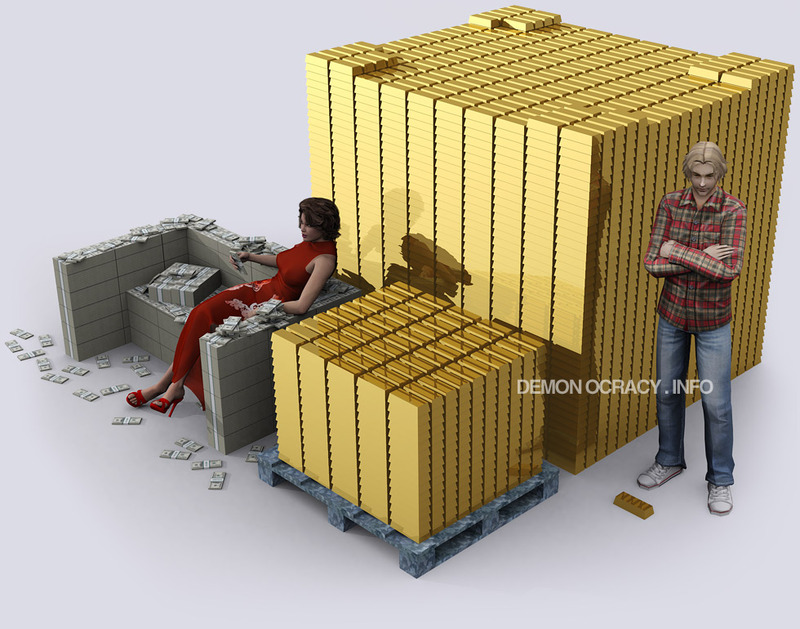 The arguably real intention of criminalizing Gold was because the Federal Reserve printed too many dollars, backed by a limited amount of Gold. People knew Gold was worth more than the $20.67/oz that US Government was 'redeeming' (selling) Gold at. This Gold values shown are official numbers from Wikipedia. 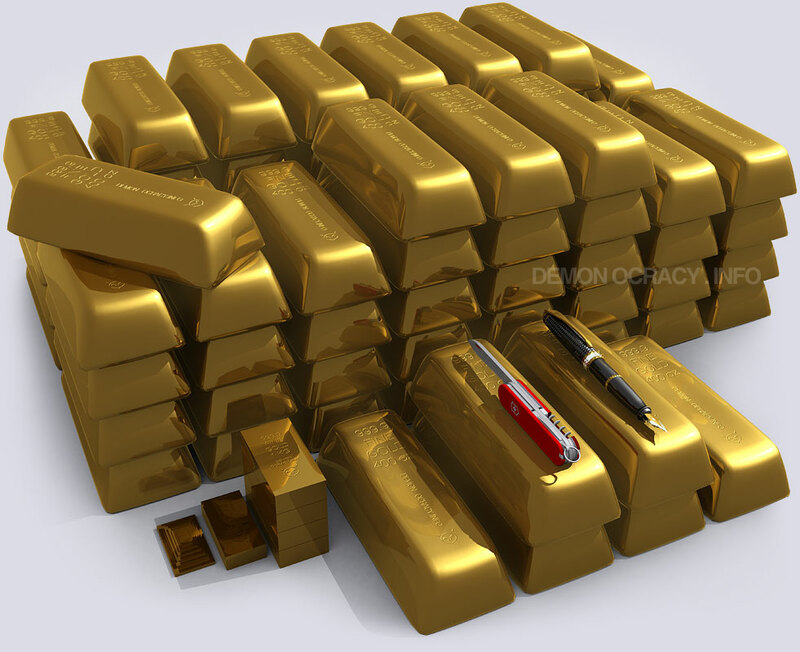 There is a strong chance the numbers are inaccurate since western world's Central Banks have purportedly leased out the Gold reserves while using accounting tricks to hide the facts, in order to push the Gold price down. Gold price is an indirect indicator of economic stability, the lower the price, the more stable the global economy appears. Developing countries have been buying significant amounts of Gold in recent years, with India being #1 and China #2.
begun shipping 50 tonnes of Gold / year back home. All the Gold in the world, displayed in 400oz bullion bars. Beautiful bright images. But they can not see the essence of the text. What does this all mean?